← Is it good to collaborate with other freelance teachers? Firstly I’d like to say “hi” to my new followers! 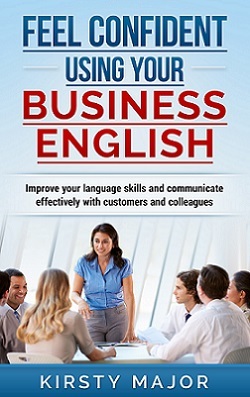 This is the blog for my business, English with Kirsty. I use it to talk about learning English, communication skills, tips for learning other languages, and news from English with Kirsty. If you found me through a comment on a beauty blog, you may prefer my other blog, Unseen Beauty, which is where I post my fashion and lifestyle content. Of course any of my readers who are learning English are welcome to check out the second blog as well! So, today’s post is going to be about holidays, because I’ve seen some confusion about the vocabulary we use to talk about them. Firstly the preposition – we are on holiday, not in holiday or at holiday. If someone says that they are going on holiday, it usually means that they are going to travel somewhere and spend their holiday in that place. However, if we just say that we’re on holiday, we might be going somewhere, or we might be doing what I did last week – staying at home! If one of your colleagues is on holiday, it really just means that they aren’t at work. You can also say “away”, “out of the office”, “on leave”, or “on annual leave”. The last one is more specific because there are other types of leave such as parental leave. “On vacation” is used too, but in American English. It’s not generally used in British English. However, the word “staycation” is becoming more popular here. It’s based on a mixture of staying at home and vacation – so a vacation at home is a staycation. I think they’re a good thing, particularly if you travel quite a bit for work – having a relaxing week at home is great! I tend to avoid the “where did you go on holiday” question because maybe someone didn’t, or they can’t afford to because they’re saving up for something else! But it’s a pretty standard question. If you’re the one who’s going on holiday, you might also be interested in the post that I wrote about out of office replies. Being self-employed is great because I can choose when I take holiday – but I usually make sure that my partner and I have the same time off. (We also use the word “off” to mean away from work – I have a week off – I’m off next week etc). The school Summer holidays are particularly popular, and companies have to work out a system for leave allocation at the most popular times such as the summer holidays, Christmas and Easter. As someone who doesn’t have children, I was always happy to work at these times. I prefer to go away out of season, when everything is usually cheaper. However many companies ask for leave requests (the form on which you say when you would like time off) months in advance, so that they can review all the requests and try to allocate time off fairly. When you come back to work, you can have a backlog of emails and things that you have to read or do if nobody has been covering for you when you were away. This may make you want to start planning your next holiday! In my last job, I had 30 days of annual leave in addition to bank holidays – Christmas, Easter, 2 holidays in May and 1 in August. Some people, such as emergency services, have to work on bank holidays, and I have taken a taxi on Christmas Day before. Usually people will get a day off instead of the bank holiday that they worked. If you want to find out more about the Bank Holidays in the UK, you can listen to episode 106 of my podcast. There are sometimes differences within a company in terms of how much leave you can take each year. Staying with the company for a set number of years can in some cases earn you additional days of annual leave. Some people don’t take all of their allocated leave in one year and they can carry it forward to the next year. Usually there are rules about how many days of leave you can carry forward so that people don’t build up too much. I never had this problem – I always took my allocated number of days! I hope this post has been helpful in showing you some of the vocabulary used to talk about time away from work.